Kids will take their trick-or-treating rain or shine. And lucky for us, there's plenty of safe trick-or-treating spots for kids to seek out their Halloween haul. If you’re ready to start mapping out your family’s route, read on for a list of our favorite places to fill those buckets and pillowcases with sweet treats. Psst! Since the 31st falls on a Wednesday this year, many venues are getting in on the action early which means you can get some mileage out of those costumes! When: Oct. 27-28, 2018 from 9:30 a.m.-3 p.m. When: Oct. 27, 2018, from noon–6 p.m.; trick-or-treating starts at 3 p.m.
Mark your calendars for the Capitol Hill Chamber of Commerce’s 9th annual Hilloween event! The indoor kids’ carnival returns this year with a fun circus theme. Enjoy live performances, fun games and plenty of hands-on activities. At the end of the carnival, everyone is invited to participate in a traditional costume parade led by a marching band and then enjoy trick-or-treating from businesses along Broadway & Pike and Pine Streets. When: Oct. 28, 2018, from 10 a.m.-2 p.m.; trick-or-treating starts at noon. Put on your best Halloween costume and come for a day of community fun. There will be crafts and activities for kids sponsored by the local businesses and organizations, a chili cook-off, costume parade led by the West Seattle High School Marching band, prizes, trick-or-treating and, of course, great fall bounty brought to the Junction by its local farmers market. When: Oct. 31, 2018, from 4 p.m.-7 p.m. Starting at 4 p.m., costumed kiddos can trick-or-treat at Magnolia Village. 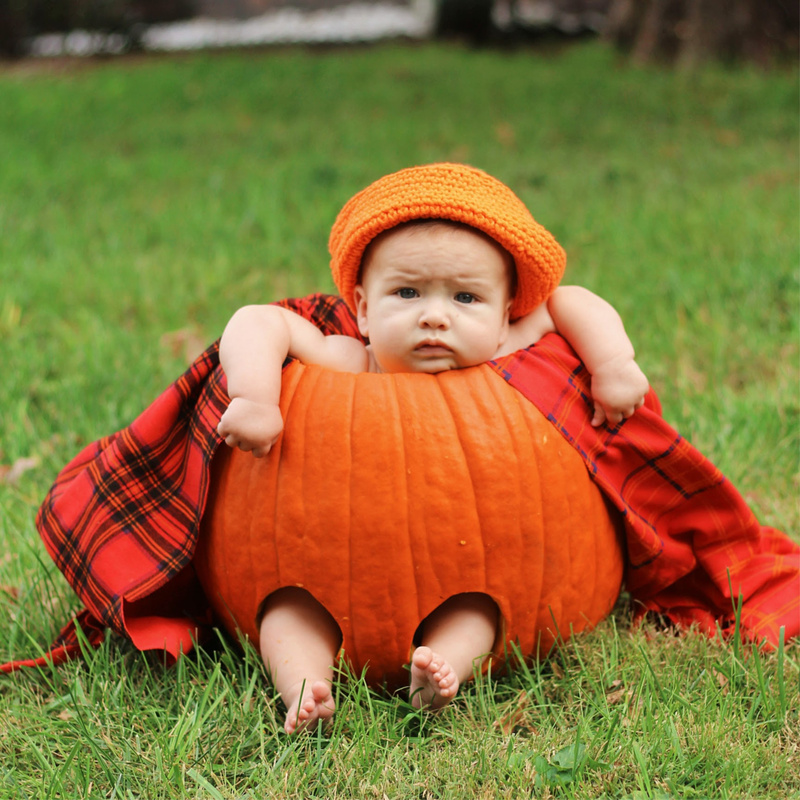 This is a great option for little punkins who don’t want to walk very far or little ones who are new to the trick-or-treating scene. The best part? You’ll be home in time for dinner. 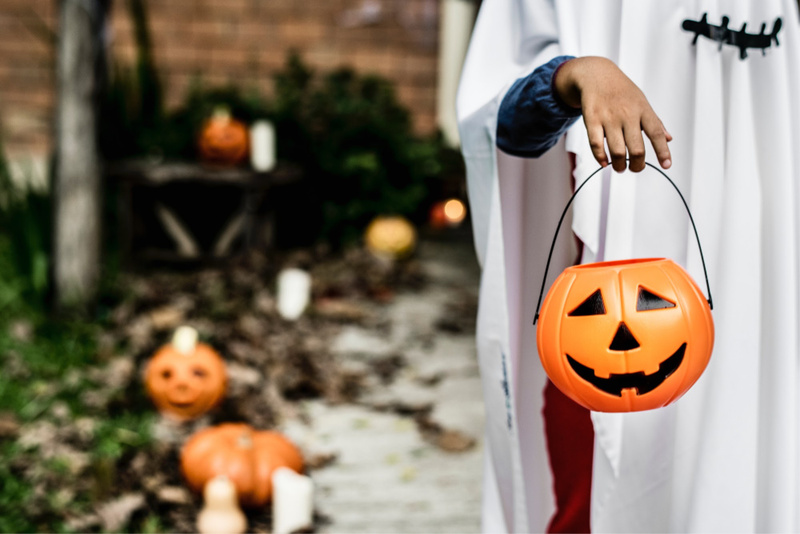 When: Oct. 31, 2018, from 3 p.m.–6 p.m.
Take your lil’ ghosts and goblins to West Seattle’s Admiral District for this annual (and super safe) trick-or-treating extravaganza! Look for the Halloween sign at participating businesses and be prepared to load your treat bags with lots of goodies! Note: Trick-or-treating in the Admiral District is 100% volunteer supported by the businesses operating near the intersection of Admiral and California Ave. S.W. Each year, local businesses give back to the community by providing a safe place for trick or treaters. When: Oct. 31, 2018, from 3 p.m.-6 p.m.
Each year, hundreds of little ghosts and goblins head to upper Queen Anne Ave. for the neighborhood’s annual trick-or-treat festival put on by the Queen Anne Chamber of Commerce and Umpqua Bank. This year, the festivities will kick off at 3 p.m. so you can do your trick-or-treating in the daylight hours! When: Oct 31, 2017 at 4 p.m. to 6 p.m.
Take a stroll through U Village where participating merchants will be passing out candy to costumed kiddos ages 11 & under on Halloween. Once your little monsters are all sugared out, head over to the covered kids' play area near Kid’s Club to let them burn off their Halloween high. Grab your buckets (or your pillowcases!) and head to Fremont for this annual trick-or-treating extravaganza. This year, over 100 Fremont retailers and restaurants will be handing out candy to kids in costume who are accompanied by adults. This trip to “The Center of the Universe” will surely be one to remember! The folks at Northgate Mall are inviting lil’ ghouls, goblins and boo’tiful princesses (12 & under) to come have a frightfully good time at their annual Halloween bash. Come decked out in your costume and enjoy spooky family fun and activities based on Vampirina and your favorite Disney Junior pals! 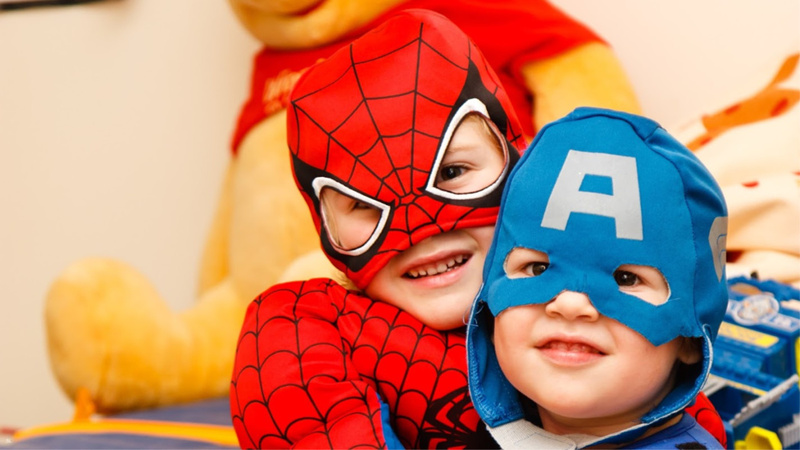 This year, costumed kiddos can have a fun and safe trick-or-treating experience at Country Village Shops. On the 31st, participating merchants will be offering treats to lil’ ghouls from 4 p.m.-6 p.m. (while supplies last). Psst…the businesses on Main St. in downtown Bothell will continue the safe, trick-or-treating fun from 5 p.m.-7 p.m. There will be plenty of treats (and maybe a few tricks!) for costumed kiddos, their parents and their pets from participating merchants in downtown Edmonds. Psst…be sure to enter the costume contest. This year, there will be categories for kids, adults, and pets in several age categories: 0-6, 7-12, 13-17 and 18 & older. Note: The downtown streets of Edmonds will be closed to cars during the event, making this a truly safe evening. When: Oct. 20, 2018 from 10 a.m.-1 p.m.
At this annual event, kids in costume will begin their spooktacular adventure at Key Bank where they will pick up their treat bag and passport. Visit participating businesses in the passport, located along Center Blvd., collect a passport stamp and a treat until you reach your final destination at the Snoqualmie Valley YMCA. At the Y, kids can turn in their completed passports for a special treat and play fun carnival games, decorate a pumpkin and play on the bounce houses! For little ones looking for a not-too-spooky time, the North Kirkland Community Center is throwing their annual carnival-style bash where mini monsters can wear their costumes and participate in a cookie walk, monster movement course, swamp fishing, arts and crafts and more. 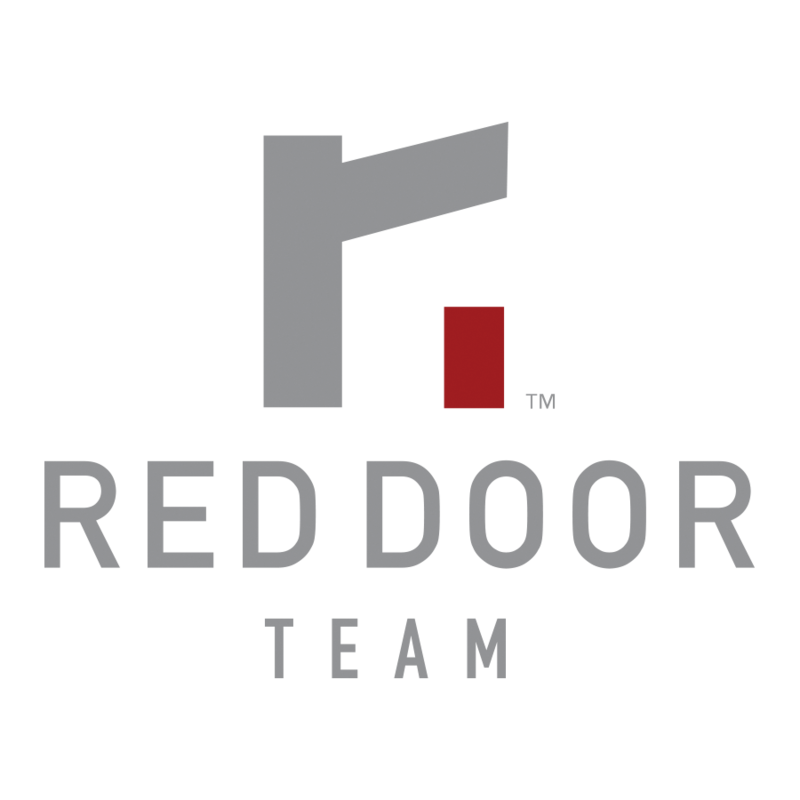 Pre-register early (425-587-3336) to guarantee your spot; this event always sells out! When: Oct. 28, 2018 from 1 p.m.-3 p.m. Wear your Halloween costume to The Landing and trick-or-treat from participating merchants with Halloween signs in their windows. After you collect your Halloween haul, get your face painted, visit the balloon maker and enjoy music and activities. Psst…there will be free trick-or-treat bags for the first 500 kids. When: Oct. 31, 2018 from 4:30 p.m.–6:30 p.m.
Head over to the Marketplace @ Factoria on the 31st for a safe (and dry) evening of trick-or-treating. In addition to collecting treats at participating businesses, kids can enjoy spooktacular music, games, and prizes. When: Oct. 31, 2018 from 4 p.m.-6 p.m.
Don your Halloween costume and head to Crossroads Bellevue for trick-or-treating at the Mall’s outside stores (while supplies last). Then, head inside to the Marketplace Stage to catch music by the Neverland Band from 6 p.m.-7:30 p.m. When: Oct. 31, 2018 from 4 p.m.-7 p.m.
Redmond Town Center will be getting in on the Halloween action this year. Starting at 4 p.m., lil’ ghosts and goblins can seek out Halloween treats from participating merchants (while supplies last). 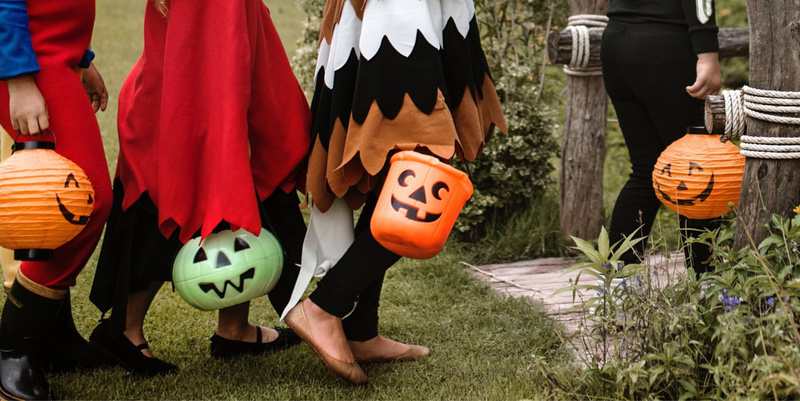 In addition to trick-or-treating, there will costume photos in the photobooth, a Springfree trampoline to work off the sugar rush, face painting and Halloween merchant specials. When: Oct. 27, 2018 from 1 p.m.-2:30 p.m.
On the 27th, Tacoma-area families are invited to participate in a safe, indoor Halloween event at Tacoma Mall. Come in costume for spooky family fun and activities based on Vampirina and your fave Disney Junior pals. Psst, share your Disney Junior Play Dates photos on social media using #DisneyJuniorPlay. 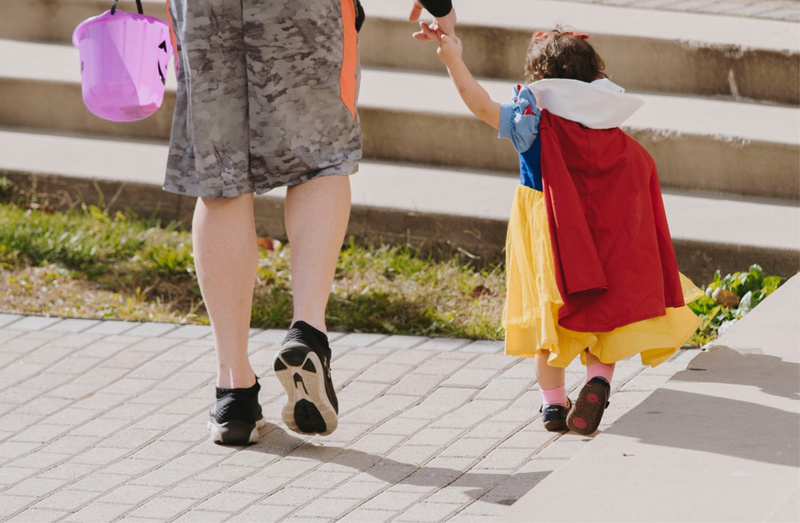 When: Oct. 31, 2018 from 4:30 p.m.-7 p.m.
Take your little pumpkins, princesses, and superheroes to the Kent Station for a fun evening of trick-or-treating and a spooktacular costume contest. Trick-or-treating will take place around the Kent Station at participating businesses from 4:30 p.m.-7 p.m. (while supplies last). The costume contest will take place on the stage next to Coldstone Creamery from 4:30 p.m.-6:30 p.m. Prizes will be announced starting around 6:45 p.m. (must be present to win). When: Oct. 31, 2018, from 3 p.m.-5 p.m.
On Halloween, carve out time for some spooky (safe) fun at The Outlet Collection in Auburn. Creep, float or crawl over to this KidX Club event and enjoy trick-or-treating for candy and Halloween goodies from participating merchants. Note: Check in at Guest Services to enjoy all the Halloween activities and pick up your “Witch Way To Candy” map. Check-in begins at 2:45 p.m.; trick-or-treating at participating retailers will take place from 3 p.m.-5 p.m. only.